There’s no doubt that Xiaomi will launch a successor to the Mi Max 2 smartphone and the Chinese company even confirmed the Mi Max 3 would be launched in July this year. Now, the same smartphone has received 3C certification, hinting at the imminent launch. A Xiaomi smartphone carrying model number M1807E8S is spotted on Chinese 3C certification site. The Mi Max 3’s power brick has a model number- MDY-08-ES and the phone comes with 5VDC 3A/9VDC 2A/12VDC 1.5A, up to 18W fast charging. This means the phone will support fast charging, same as the Mi Max 2. Last month, in a Weibo post, Xiaomi’s CEO Lei Jun had confirmed that the Mi Max 3 would be launched in July this year. However, he did not reveal any additional details regarding the smartphone. To recall, the Mi Max 2 was launched in May 2017, followed by the Indian launch in July 2017. The Xiaomi Mi Max and Max 2 were successful devices for the Chinese company, which of course, is because of the insane price tags they carry. Going by the rumours, the Xiaomi Mi Max 3 is also said to sport decent specifications for a mid-range smartphone. The Mi Max 3 might sport an 18:9 display on the front and rumours hint at a 7-inch display with Full HD+ resolution. There may not be any notch on the handset, but to reduce the overall footprint of the smartphone, we might see a notched display on the Mi Max 3. Going by the previous two launches, the Mi Max 3 could be powered by the Snapdragon 636 SoC, as seen on the Redmi Note 5 Pro. Xiaomi launched the Mi Max 2 and Redmi Note 4 with Snapdragon 625 chipset on board, while the original Mi Max and Redmi Note 3 arrived with Snapdragon 650 SoC on board. The Mi Max 3 will possibly arrive with the power-efficient Snapdragon 636 chipset. Rumours hint at the Snapdragon 660 chipset usage on the Mi Max 3, but take those with a pinch of salt. Also, the Mi Max 3 is yet to make an appearance in the benchmark reports, which could reveal the processor. The phone is expected to feature a 5500mAh battery with fast charging support and wireless charging this time around. There might be two cameras at the back of the phone, same as the Note 5 Pro and Redmi Y2. The phone will be released with MIUI 10 in China first. 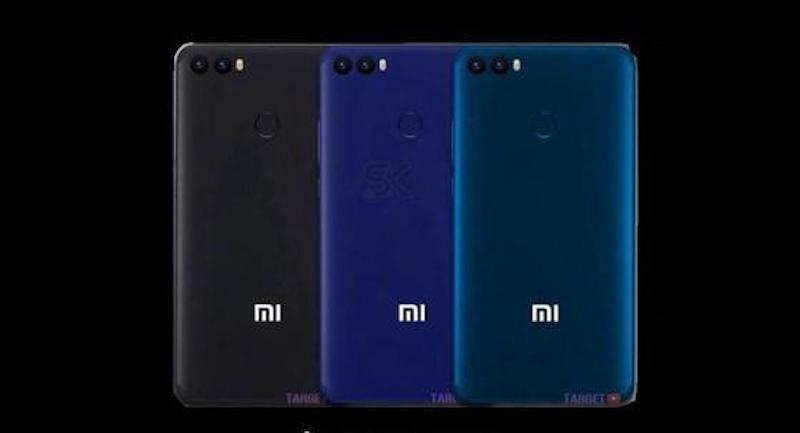 Xiaomi might bring this device to the Indian market in August this year, which is yet to be confirmed. Also, the phone is expected to pass TENAA before the official release, which will reveal the complete details along with some images. Cool, waiting for the launch!! !